About the author: Born and educated in the UK, Ann Girdharry is a trained psychotherapist and has worked as a manager in the not-for-profit sector for many years for agencies working with: carers, vulnerable older people and those with dementia, survivors of abuse, and victims of racism and racial attacks. 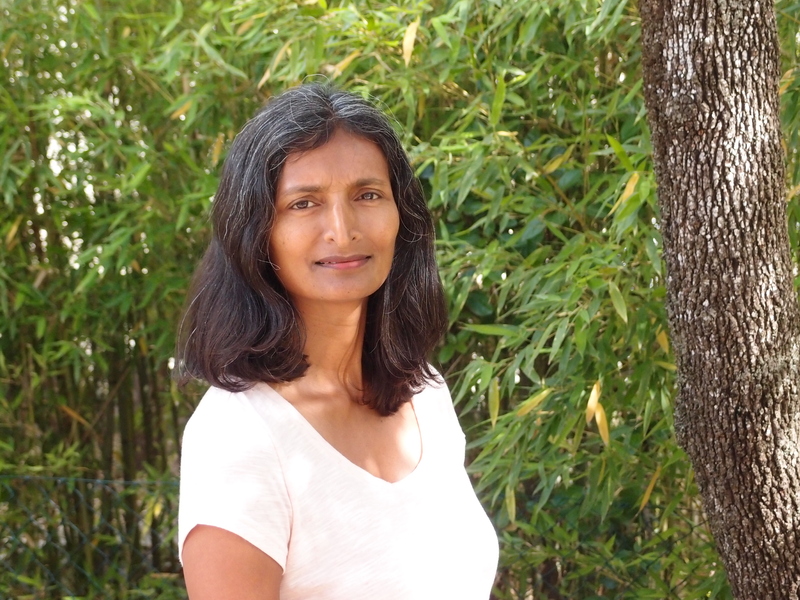 Today she lives in Montpellier, France with her husband and two children. As well as her passion for writing, Ann enjoys gardening and is a member of her local roller blading club. Ann has previously published a series of short stories called Tales of the Unexpected (2015-2016). 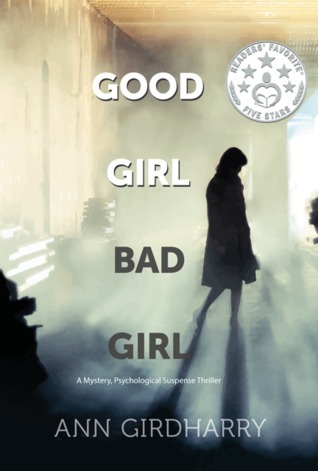 Her debut novel, and the first in the Kal Medi series, Good Girl Bad Girl by Ann Girdharry (published by CreateSpace and Kindle Direct Publishing 23rd August 2016 RRP £8.99 paperback, £3.99 ebook) is available to purchase from online retailers including amazon.co.uk and to order from all good bookstores. Be prepared to suspend your disbelief and then take a seat on a roller coaster ride of mystery, self-discovery and action. Ann Girdharry’s debut novel is complex; what begins as a narrative surrounding a missing person quickly embraces the issues of paedophilia, bio-technology and ethics, exploitation, racism, organised crime syndicates and poses questions regarding identity, nature v nurture. Be warned the subject matter can at times be a little gruelling, actually more than a little gruelling… perhaps the author intended to shock us – to wake us from our contended slumber and question some of the bigger picture question regarding first world and third world relationships and responsibilities ? There is a lot happening in this book and I think the author perhaps would have been better served limiting the number of issues and fleshing out some of the characters, making them more likable. This is an action packed debut not for the sensitive. Heat the oil in a large, heavy-based ovenproof saucepan over medium heat. Add the onion, leek and garlic and cook, stirring, for 5 minutes or until softened. Add the rice and cook, stirring, for 1 minute. Add the tomato paste and stir to coat the rice. Add the stock, 2 cups (500 ml) water and the tomatoes to the pan and bring to the boil. Stir through the carrot, zucchini and tuna. Cover with the lid or two tight layers of foil. Bake for 30 minutes or until the liquid is absorbed and the rice is cooked through. 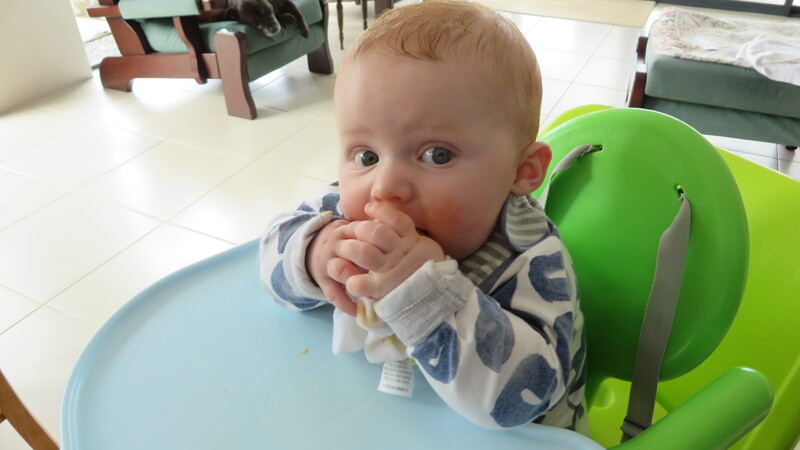 F U S S Y E AT I N G T I P If your baby is refusing to be spoon-fed, adapt the meal so you can offer it as finger food. This risotto, for instance, can be rolled into little balls that are easy to pick up and munch on. S TO R A G E Keep in an airtight container in the fridge for up to 2 days. Alternatively, freeze individual portions in freezer bags or airtight containers for up to 2 months. A L L E R G I E S / I N TO L E R A N C E S Gluten: use gluten-free stock. Dairy: omit the parmesan. Poppy and grandmamma loves you too little pumpkin face 🙂 . Kids love the fillings in cannelloni and ravioli, so we like to serve them up as little ‘nudies’ (minus the pasta). These spinach and ricotta balls are a delicious vegetarian finger food that’s perfect for the tasting plate. Place the spinach and 1 tablespoon of water in a large frying pan over medium heat and cook, stirring, for 2–3 minutes or until wilted. Drain the spinach and squeeze out as much as liquid as possible, then finely chop and place in a large bowl. Add the ricotta, parmesan, flour and egg yolk to the spinach and mix well to combine. Shape the mixture into dumplings the size of golf balls, or smaller if you prefer, flatten them slightly and dust lightly with flour. Gently heat the tomato and basil pasta sauce or hidden veggie sauce in a saucepan or frying pan until warm. Add the nudies and very gently turn to coat in the sauce. Serve sprinkled with extra grated parmesan, if desired, and with pasta, fruit and vegetable sticks alongside. 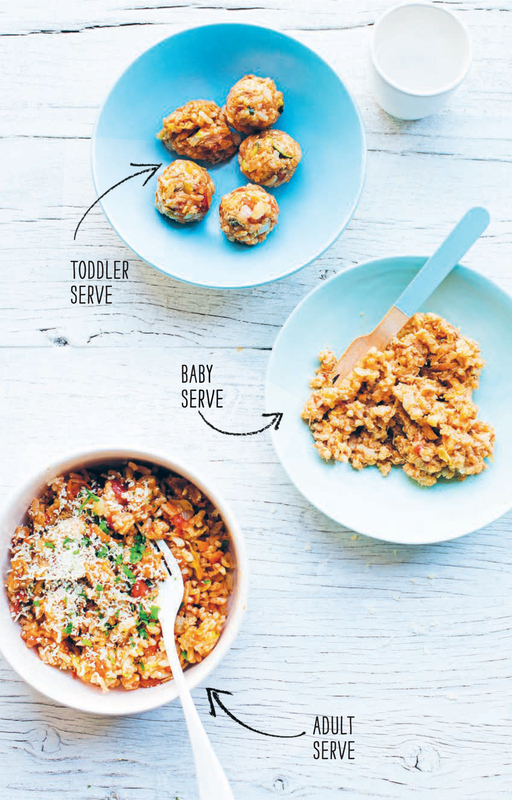 NUTRITION NOTE If your baby or toddler tends to overstuff their mouth with food, make smaller balls to help them eat appropriately sized mouthfuls. STORAGE These are best enjoyed fresh, but leftovers will keep in an airtight container in the fridge for up to 2 days. ALLERGIES/INTOLERANCES Gluten/wheat: use gluten- or wheat-free flour and pasta. 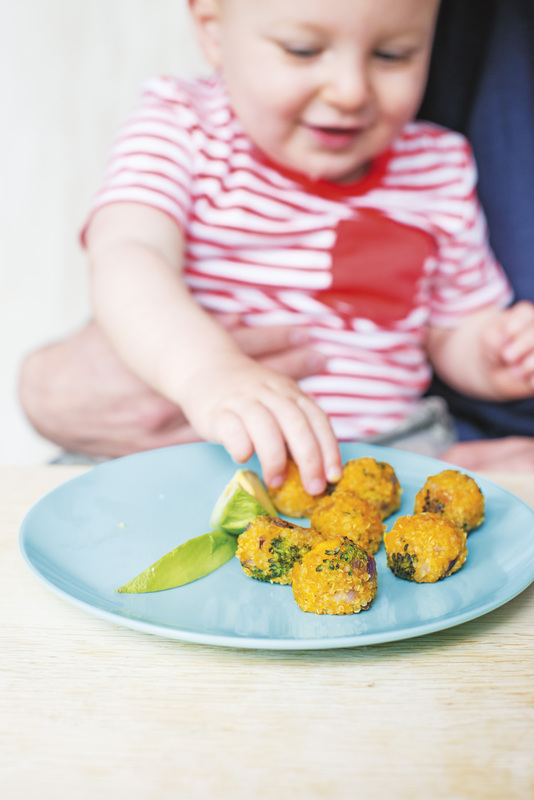 This simple finger food is all-natural, with a subtle hint of spice and little pops of texture to excite your baby. Preheat the oven to 180°C (160°C fan-forced) and line 2 baking trays with baking paper. Put the pumpkin into a bowl, add the olive oil and spices and toss to coat. Arrange the pumpkin in a single layer on a lined tray and bake, turning halfway through cooking, for 25 minutes or until soft and caramelised. Remove from the oven and set aside until cool enough to handle. Meanwhile, place the quinoa in a fine-meshed sieve and rinse thoroughly under cold running water. Transfer to a heavy-based saucepan, add 1 cup (250 ml) water and bring to the boil over high heat. Reduce the heat to low, cover and simmer for 10 minutes. Turn off the heat and set aside, without lifting the lid, for 4 minutes. Fluff the quinoa with a fork and leave to cool. Bring a small saucepan of water to the boil. Add the broccoli and cook for 2 minutes or until tender. Drain well. Scoop the pumpkin flesh from the skin and place in a bowl. Squeeze the liquid from the grated onion and use paper towel to pat the onion dry. Add the onion, broccoli and quinoa to the pumpkin and mash together until well combined. Dollop teaspoon-sized balls of mixture onto the remaining lined tray. Bake the balls, turning halfway through cooking, for 30 minutes or until golden brown. Serve with steamed vegetables alongside. N U T R I T I O N N OT E Spice doesn’t always mean ‘hot’, so don’t let the word scare you off when cooking family meals. Incorporating a range of spices into your child’s meals will help in the transition to family food and encourage positive eating behaviours. S TO R A G E Keep in an airtight container in the fridge for up to 2 days. Alternatively, freeze the uncooked balls, on a lined tray covered with plastic film, until frozen, then transfer to a freezer bag and freeze for up to 2 months. 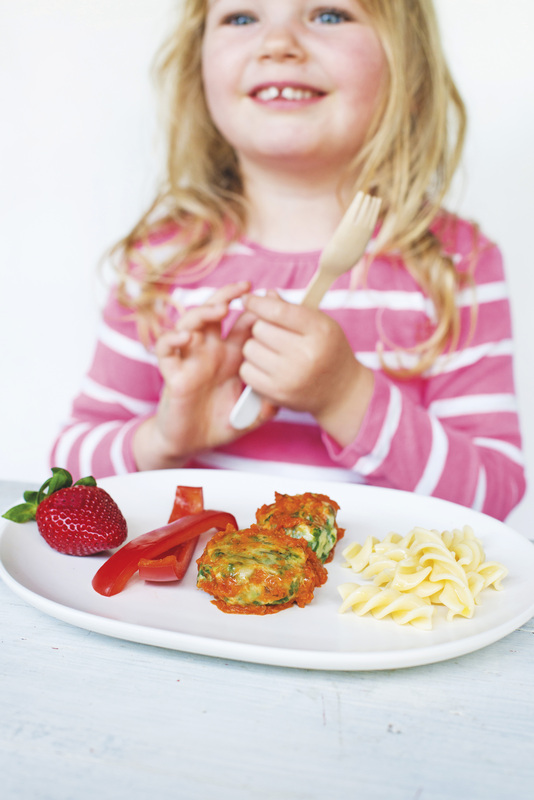 This is an extremely well thought out and presented book – the book is colourful, informative and is divided into sections to reflect the various stages of introducing solid foods to children; starting with Mixed Purees, then Textured Meals, Early Finger Foods and then offers variety with Herb and Spice Based Meals, progressing to Family Meals. 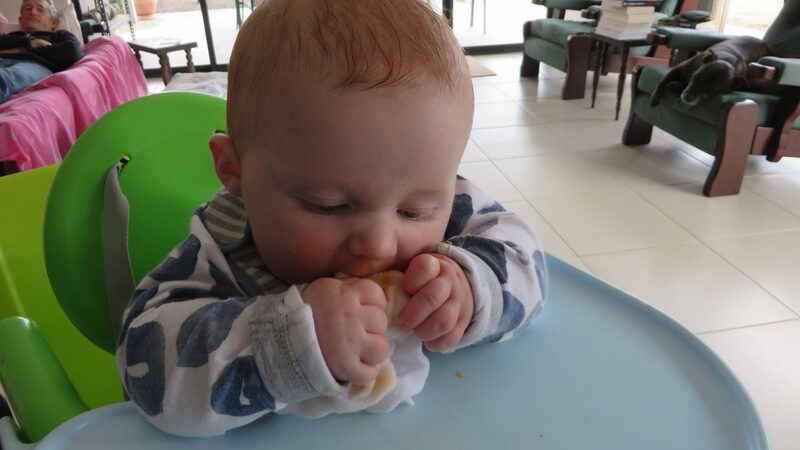 There is even a section on Baby Led Weaning (or Sensory Weaning) a term I have just recently discovered…and there is so much more. One of the best things about this book is that a lot of the recipes may appeal to other members of the family – I mentioned some of the yummy breakfasts and then there are recipes for things like Kale and Mushroom Omelette, Corn Fritters with Avocado Salsa, Cheesy Baked Beans on Toast, Savoury Veggie Slice…there is even a specific section to help you feed all the family from the same recipe, One Meal Three Ways – meals to cook that can be adapted to suit babies, toddlers and adults – a great idea! The author provides nutrition notes, some hints for ingredients substitutions (if trying to exclude certain ingredients) and each recipe identifies if Gluten Free, Egg Free, Dairy Free, Wheat Free or Vegetarian and indicates if suitable to freeze. What more could you want? 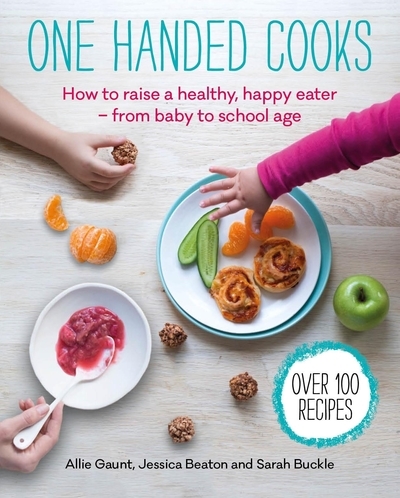 This is a great family centred cookbook.